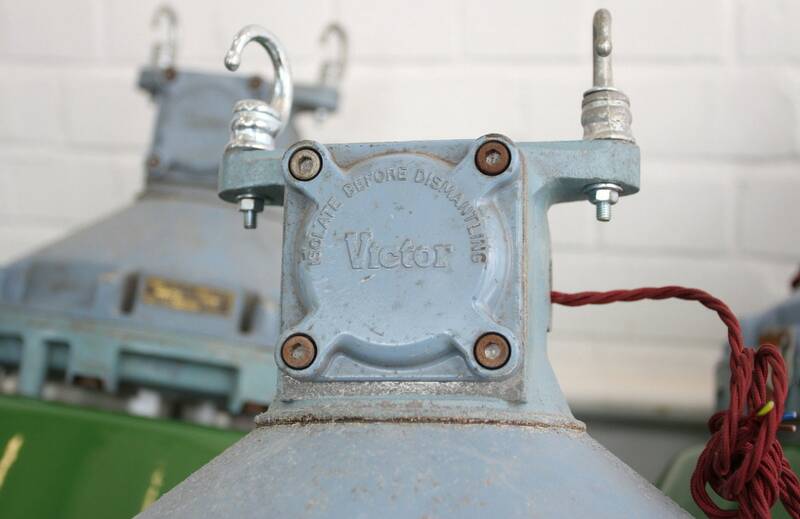 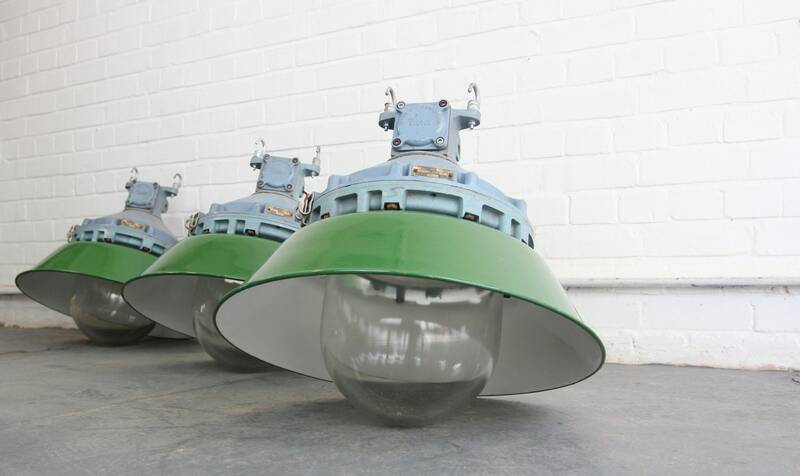 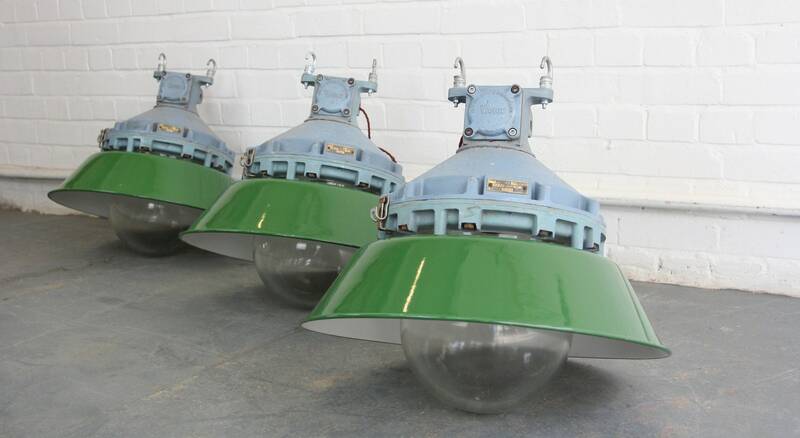 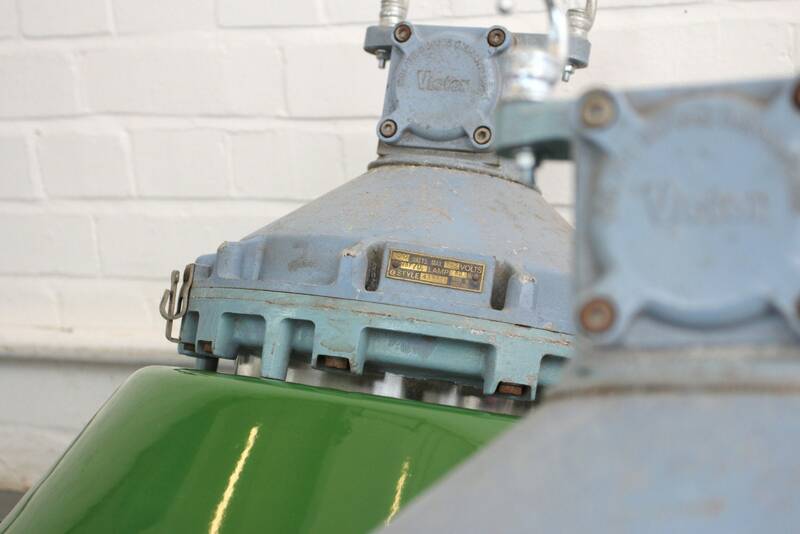 Victor lighting has been manufacturing Lighting for use in deep mines and arduous industrial environments since 1929. 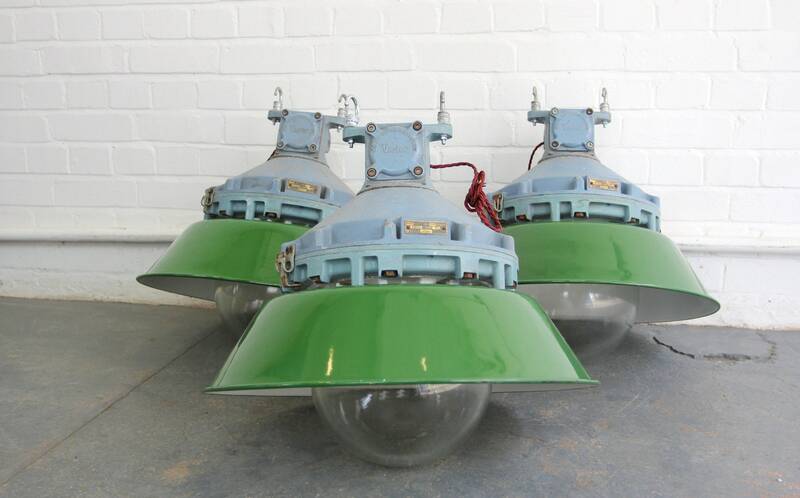 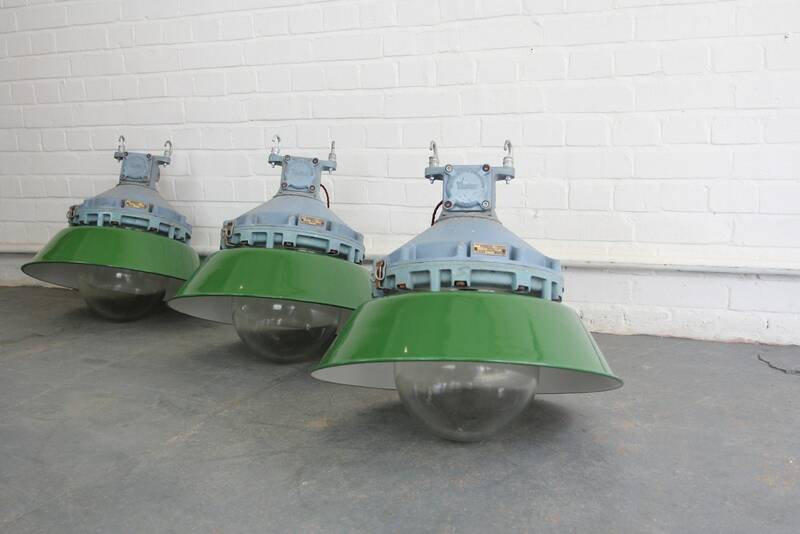 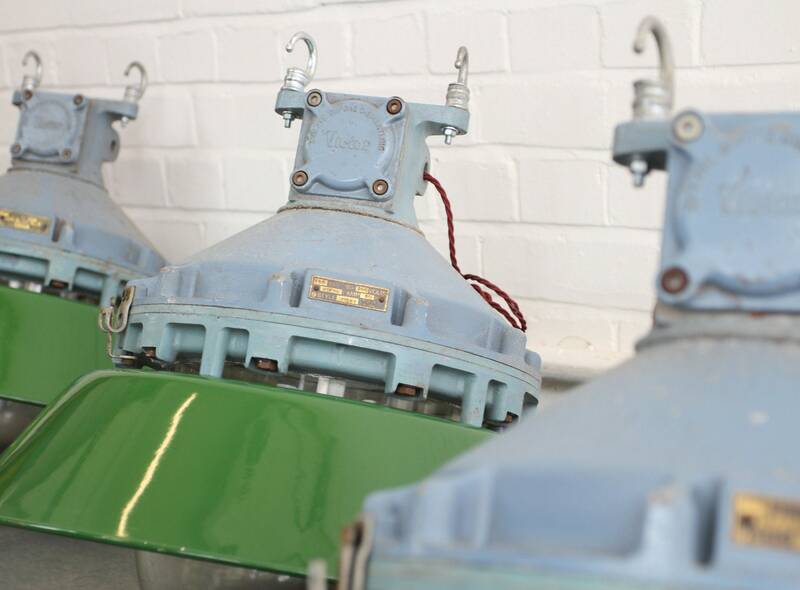 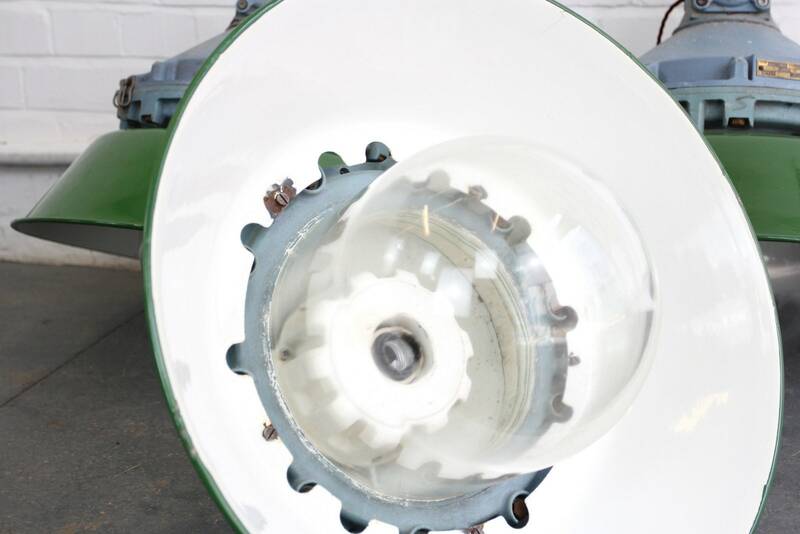 It's Flameproof Lighting with a simple servicable design is widely considered some of the best industrial lighting ever produced. 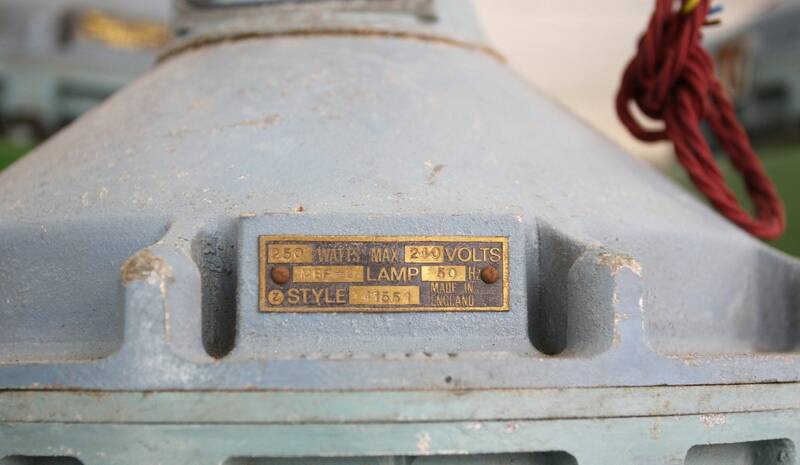 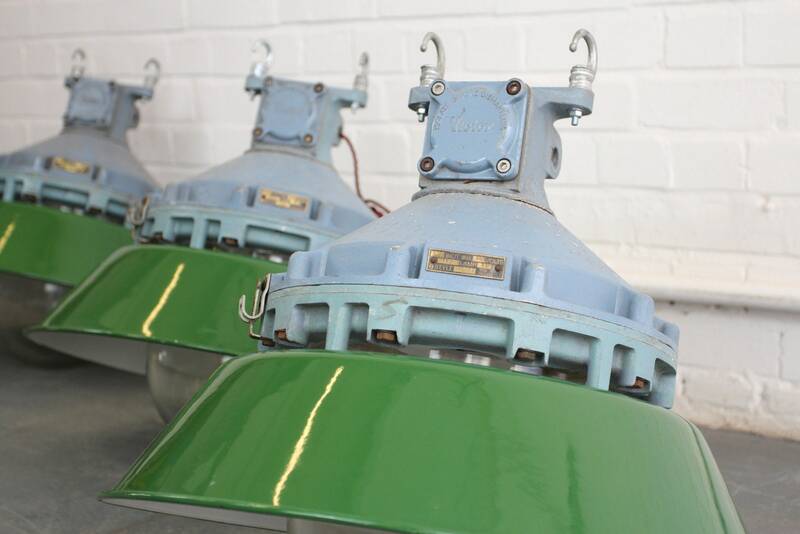 The lights have been re wired with modern electrical components and only show minor signs of cosmetic wear.